Project: Lakewood Baptist Church in Lakewood, CA . 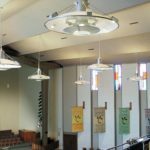 These large scale contemporary pendant fixtures, designed by Cindy Voorhees, Voorhees Design, is a perfect complement to this very large sanctuary and incorporates multiple circuits and light sources. 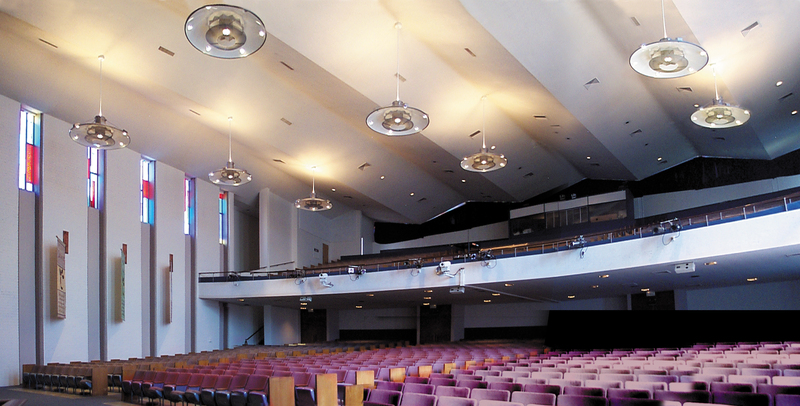 Each fixture is 60″ in diameter with an inverted white acrylic dome supported by 6 stems attached to the outer rim. Each attachment point houses a 50 watt MR-16 lamp as down lights on circuit one. The center cylinder houses a 150 watt PAR 38 flood lamp as a down light on circuit two. There is a 500 watt halogen T5 lamp hidden in the top of the center cylinder on circuit 3 for up light against the angular ceiling. 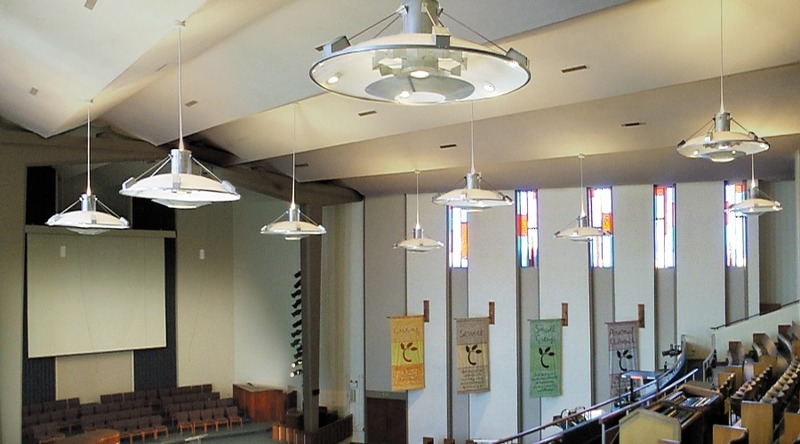 The metal finish has a chrome powder coat to complete this custom church lighting design.